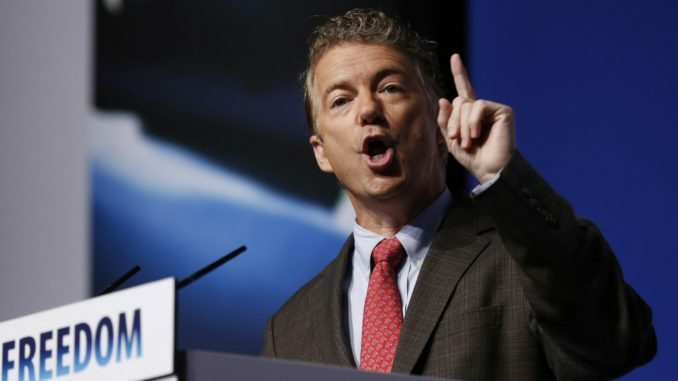 Senator Rand Paul took to Twitter to defend President Trump, claiming that the ‘New World Order’ are terrified of his success. “The appointment of senior persons of lesser experience, the abandonment of allies who fight beside us, and the president’s thoughtless claim that America has long been a ‘sucker’ in world affairs all defined his presidency down,” he wrote Tuesday. “With the nation so divided, resentful and angry, presidential leadership in qualities of character is indispensable. And it is in this province where the incumbent’s shortfall has been most glaring,” he added. Trump shot back at Romney Wednesday, saying he should consider being a “team player,” instead of going down the same road as anti-Trumper and outgoing Sen. Jeff Flake (R-Ariz.).